Welcome to the crazy world of children's author and gonzo surf journalist, DC Green. Relax. There's heaps to do. Cackle at sample chapters from DC's latest laugh-loaded Erasmus James adventure. Drop a comment (but no cussing). Explore the mega links of things to do. Visit other writers. Check out DC's World Surf Media Guide. Or better still... order a book or seven! LINKS. Authors for all ages. Writing. Surfing. Book voting & reviews. Tons of cool sites! Please like my 'DC Green Author' facebook page! The Stinky Squad Blog - all the news about DC's reekiest book! DC Green's Top 10 FAQs! WIN 10 YEARS of FREE Barrel Books! Review: "I really loved this book"
Review: "I could not contain my sniggers!" Free eBook Miners - Free ebooks for everyone, free ebook distribution for authors. eLibrary - Open Ebooks Directory - includes most of the ebooks sold on the internet. Free for addition of one's own ebooks. Barrel Books. My fantastic new publisher! Home of Erasmus James & the Galactic Zapp Machine, Stinky Squad, Three Little Surfer Pigs and more amazing books! Thebestkidsbooksite.com. Where Books, Crafts, Podcasts, and Web Resources Intersect. Blusterhead. Writing resources by Australian poet Chris Mansell. Just For Kids Who Love Books - A Website For Kids 8 to 14. Press Base is a FREE press release distribution web site offering FREE press release submissions! The Purple Crayon. Writing, Illustrating, and Publishing Children's Books. The Reading Stack. Where you can find a pile of good books. Cynthia Leitich Smith Children's Literature Resources. Official author site features bibliographies, articles, interviews & links. Smith's books include Jingle Road & Santa Knows. "Storytime Tapestry" - a newsletter devoted to spreading love and cultural awareness throughout the world. Totally Novel: Sell Yourself On a Good Book. Writers' School offers a range of writing workshops, assessments etc at affordable prices. Writing.com - the ultimate writing site, now featuring that DC Green bloke. Bev. Boorer, freelancer writer, author of two ebooks and two children's books. You want stories, poems, picture books, novels or non-fiction? Check Janeen Brian's website! Vashti Farrer, author of Breakfast with Buddha & many other great books. JennaKay Francis - Adventure, magic, humor, dragons, elves...what more could you ask for? Tara L. Entwistle-Clark, YA Author. Sandy Fussell, a great friend and fantastic author of Samurai Kids & Polar Boy. Coming soon! Jacqui Grantford, multi-talented author and illustrator of children's books. Heather Hammonds, author of numerous exciting books for kids. Steven Herrick - poet for children and young adults who like to laugh! Welcome to Ian Irvine's fantastical world of Iltior, home of Runcible Jones! Sue Lawson: kids author, mum and teacher. Check out Sue's picture books and novels. Bren MacDibble, zany story specialist. Sophie Masson: popular, award-winning author of speculative fiction for kids, teens and adults. Plus her essays. Tasmanian Sally Odgers, author, manuscript and writing tutor, specialises in fantasy. Creative Writers Network Blog. Great stories, poems and creative writing from... everywhere! DeeScribewriting Blog. Young Adult authors, books, childrens’ writers, authors, interviews & reviews. The serious and funny works of a Morris called Deepak. Anne Whitfield author of historical fiction sagas and short stories. Amanda Penrose's magical castle is full of original faeries, dragons & fantasy art which you can adopt for your own page. WANTED:HERO, the #1 digital comic book on the web! FREE ISSUE. Infinitas Bookstore. Fantasy, sci-fi, horror. Mindbodyspirit. Internet bookshop & magazine. Betty Dobson, a Canadian freelance award-winning creative writer, publishes two monthly newsletters & hosts an annual flash fiction contest. Jackie's Heart by Ellen M. DuBois. One woman's experience in love, adversity and second chances. Virginia C. Foley - author of mainstream fiction. Emotional Ferris wheels! Christina Francine, writer, interviewer, & book reviewer. Also children's & migrainers advocate. Ash's Web World is your place for all the best websites - all on one page! Raelene Hall, Freelance Writer. Bringing the Outback to You. Emma Hardman, award-winning author of Nine Parts Water (and a great surfing mate!). Ian Irvine, author of the amazing View from the Mirror Series and Runcible Jones. Amber Plowman, author of the Fox series and other exciting, twisty books. Steve Trotter, author of The National Truth, a sensational, Carl Hiaasen style page turner. Learn about Terry Whalin's Writing Life. Percent Savings. The place to go before you shop online. Save Money! Publication Road. The bumpy journey to the bookstore of Erasmus James. DC Wants the Minds of Grommets! The DC Green School Show: 2018 Dates. NEW! Welcome to the City of Monsters! The DC Green Grat Siege Blog Blitz Tour! 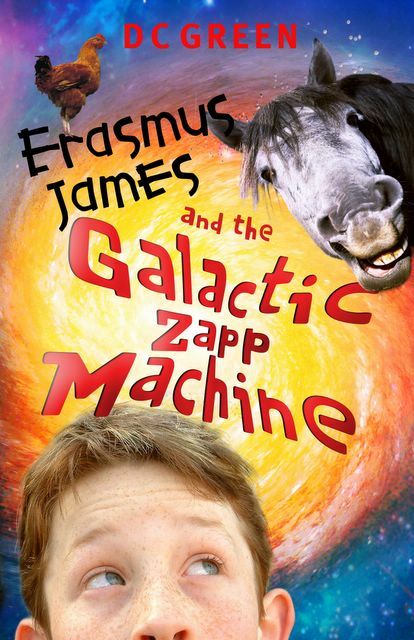 All 3 Erasmus James books are OUT NOW! STINKY SQUAD! And... THREE LITTLE SURFER PIGS! !